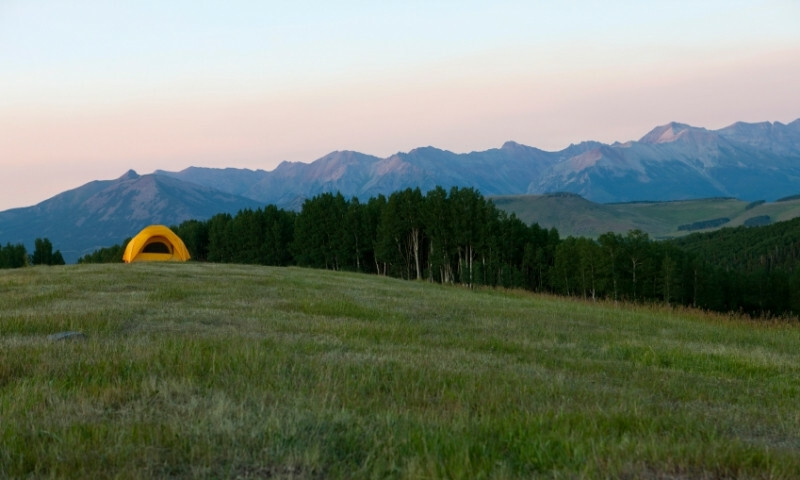 Public campgrounds around Telluride, Colorado offer a wide choice of camping options for the visitor to the Rocky Mountains and the wilderness areas of the southwestern part of the state. The San Juan Mountains provide the backdrop to a Telluride vacation in the Rockies. Exploring is best when moving through the forests by backpacking or hiking. You come across spectacular views, vistas of peaks and canyons beyond compare. The surrounding mountains give off brilliant colors, particularly at sunrise and sunset, and the pine forests emit the most pleasant scent. Mountain streams and waterfalls are just icing on the cake. There are a number of Forest Service campgrounds close to Telluride, shaded by firs and spruces, along creeks, some even close to towns and other amenities. Camping is affordable and gets you up close to nature. Only steps away you’ll find fishing, hiking trails and quiet forest glens. The length of stay for the Forest Service campgrounds in this area is typically 14 to 30 days. To locate campgrounds close to your destination around Telluride, visit https://www.fs.usda.gov/activity/sanjuan/recreation/camping-cabins/?recid=42728&actid=29. Campgrounds in the San Juan National Forest are typically open at the middle or end of May and close in September or October. Camping fees for the national forest campgrounds range from $13 to $17 per night, depending on the campground you choose.